[Revised] Minister Of Higher Education Malaysia To Officiate The Return Of The World Universities Peace Invitational Debate. Revision: The date for the launch has been moved to August 15, 2017 from 4:00pm – 5:30pm. Venue remains at Everly Hotel, Putrajaya. Sorry for any inconvenience caused. The organising committee of the QIUP World Universities Peace Invitational Debate is pleased to announce the official return / media launch of the World Universities Peace Invitational Debate (“WUPID”) by the Minister of Higher Education, Malaysia Dato’ Seri Haji Idris bin Jusoh. The media launch will take place on Wednesday, July 26, 2017 at Everly Putrajaya from 2:00PM to 4:00PM. The events is opened to the public. 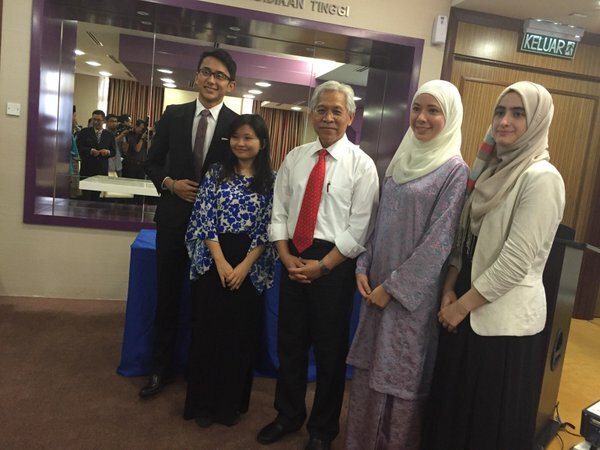 More than 120 university debaters from 20 top debating universities, from Malaysia, Philippines. India, United Kingdom, North America, Oceania and Europe will attend QIUP WUPID 2017, including the highest ranked team at the World championship, University of Oxford; and the University of Sydney, the reigning World champions. The return of WUPID is anticipated as the commercial rights for the event are now returned to the co-founders upon it being leased to Yayasan Orator back in 2012. QIUP WUPID 2017 will be the seventh championship since it’s inception in 2007. In conjunction with the official return and media launch of the QIUP WUPID 2017, the organisers will also showcase an exhibition debate that will feature a topic related to university rankings. To find out more about the media launch, visit the Facebook event page here. Previous Entry:QIUP WUPID Appoints Dr. Chandran As Chief Adjudicator. Next Entry:IIUM commissions WUPID Overall Best Speaker trophy and renames it after the late Dr. Muhammad Arif Zakaullah.